Welcome to the leading railway museum in New Brunswick! 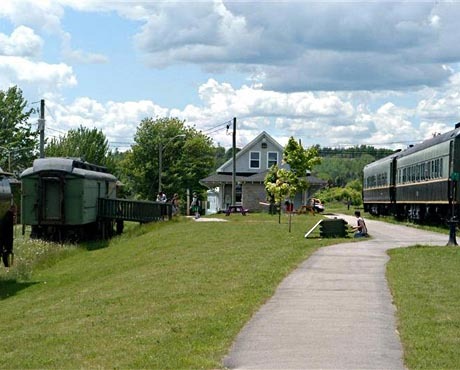 The New Brunswick Railway Museum (NBRM) is located in Hillsborough, NB, and houses an extensive collection of railway artefacts. Please take the time to browse through our website and view our collections, and learn more about New Brunswick's extensive railway history. 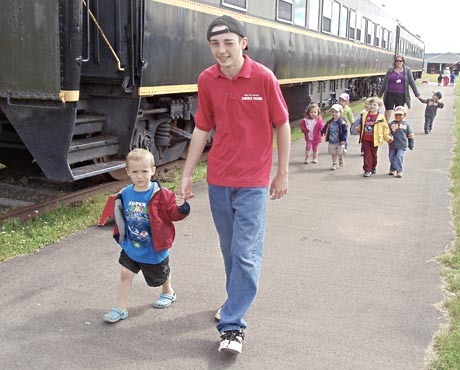 The New Brunswick Railway Museum is a project of the Canadian Railroad Historical Association (NB Division) , a charitable organization of volunteers dedicated to educating the public about New Brunswick's railway history. The Canadian Railroad Historical Association (NB Division), with the support of the Canadian Heritage Information Network , has produced an online exhibit entitled Riding the Rails. This is a community-oriented project that showcases the railway stations of New Brunswick. The CRHA (NB) has produced a DVD to raise funds for the New Brunswick Railway Museum. We have been refurbishing our CN baggage car to provide more museum space. The NB Division of the CRHA is working to add a model railway for our young visitors, as well as using the other half of the car to promote the local history on Albertite; Gypsum & Petroleum. All content on this site is copyrighted by the Canadian Railroad Historical Association (NB Division) unless otherwise noted.